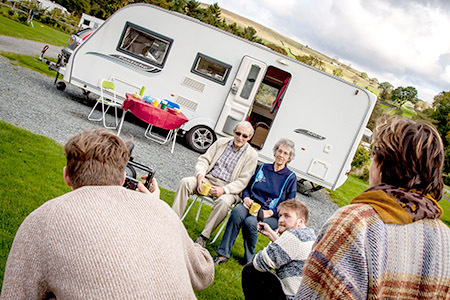 Our new videos reveal why customers trust us to insure their caravan or motorhome and what they love about touring. Caravan Guard prides itself on providing brilliant customer service as well as excellent levels of cover for caravan and motorhome owners. 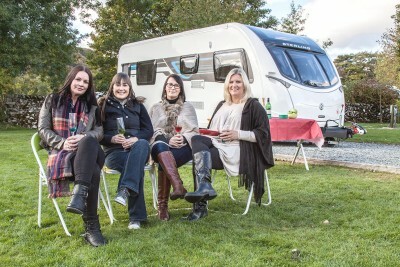 We’re the number one rated caravan or motorhome insurance provider on independent review website Review Centre and regularly receive great customer testimonials. We wanted to highlight on video what our customers love about touring and why they trust us to insure their caravans and motorhomes. We chose a selection of willing customers who were more than happy to volunteer their time to talk about their great experiences with us. There were a handful of others ready to take part but couldn’t make it to our Yorkshire-based video shoot due to other commitments. In the caravanning film we feature retired couple John and Frances Doyle, from Bradford, with their Coachman Pastiche caravan. They love the outdoors, hiking and fell walking and caravanning allows them to visit the heart of the countryside. They’ve been insured with Caravan Guard since 2012, after being recommended by their son, and have enjoyed “excellent support”. Simon and Germaine Harrison, with their two young children who are also from Halifax, have insured all their caravans with Caravan Guard in the last 10 years. They’ve upgraded their ‘vans over the years to accommodate their growing family and love taking their six-berth Swift Celebration to Cornwall or paying a quick weekend visit to their permanent pitch in Cracoe. 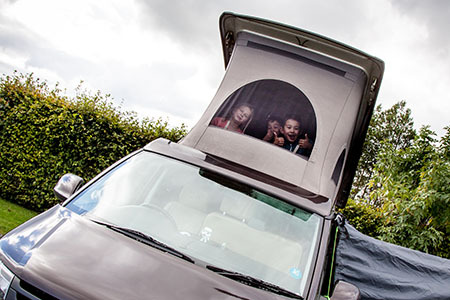 The motorhome video features Brett and Cheryll Cooper, from Huddersfield, who invested in a Hillside VW campervan to accommodate their two young “energetic” boys and their growing amount of camping gear. The Coopers are fairly new to Caravan Guard but were impressed with the excellent customer service and how advisers made sure they got the level of cover they needed. 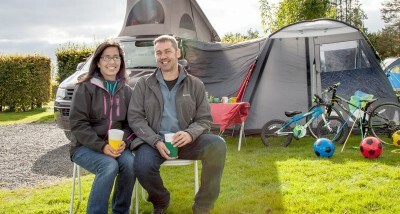 They love travelling around the UK and across to France in their campervan with their bikes and surf gear and the best thing for them is being able to get up and go – plus it’s warmer than a tent! Retired couple, Michael and Margaret Drury, from Skipton, have insured their Compass Suntor motorhome since 2008. 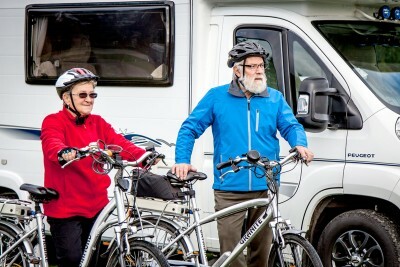 They’re in their 70s and love cycling – taking their electric bikes with them everywhere! 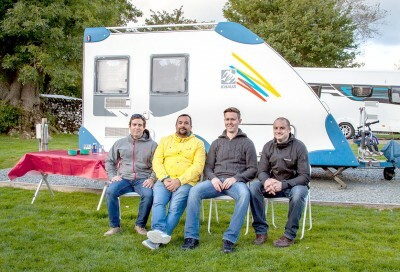 They’re motorhoming highlight has been taking their coachbuilt to Shetland, Orkney, and the Outer Hebrides and they love the freedom of being able to go wherever they want. 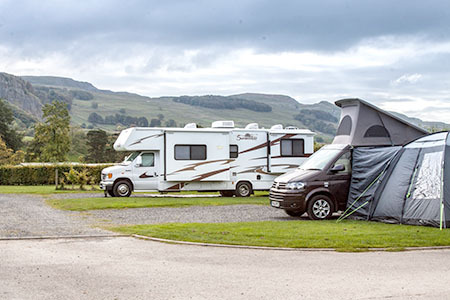 They chose to insure with Caravan Guard as it was the best on price and for its friendly and helpful staff. South African born David Ford, rolled up for filming in his “big one” – an American Sunseeker RV, all the way from sunny Scunthorpe! He also enjoys the freedom of motorhoming and likes to tour the UK to go mountain biking and walking. Caravan Guard is a hit with David as we had no problem insuring his motorhome, despite its large engine size, we were half the price of his previous insurer and we provided the right level of cover for his needs. 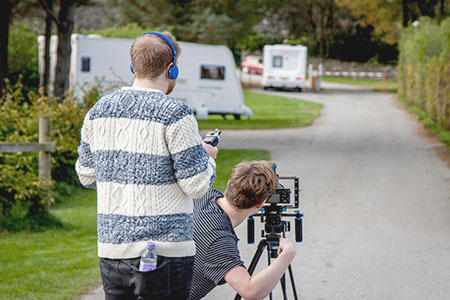 We chose to film on two fabulous campsites in Settle, North Yorkshire. 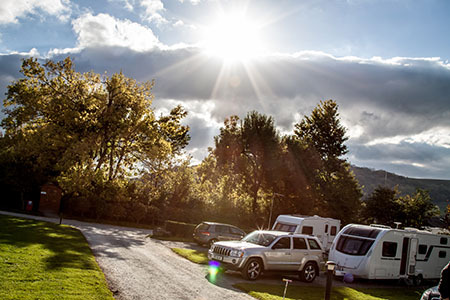 Set in the beautiful surroundings of the Yorkshire Dales, we organised pitches for our lovely customers during a mid October weekend. Our first stop was Knight Stainforth Hall Caravan & Camping Park – one of the oldest campsites in the area, and which has been managed by the Maudsley family since the 1920’s. Here we met Paul Maudsley, and we were immediately impressed by the site’s stunning location, set on the banks of the River Ribble with far reaching views of rolling hills and rocky outcrops. Facilities at the campsite were amazing, with a newly built bar, restaurant and café area, complete with function room, and fabulous views across the countryside. The onsite shop provided us with some extra props for the shoot, such as coloured fishing rods, footballs and frisbees for the children, and breakfast was ordered from the café to keep everyone fed and watered for the morning’s filming. We set up a gazebo with refreshments and props at the ready and despite a dog trying to get into the film on a number of occasions and Paul’s brother emptying the bins, everyone remained quiet so our customers could share their love of camping and Caravan Guard on camera. The Coopers’ children enlisted a young friend to take part in the filming and with their fishing rods and glass jars they walked behind their parents as they were talking to camera with no fuss – three takes and it was in the can! 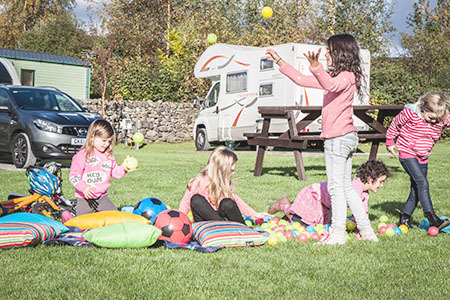 At Langcliffe Park – also a family-run campsite by Charlotte Danson and her father John Smith – a limestone wall provided the perfect backdrop for the caravans, as well as a huge village green to film the children playing together and with their parents. The on-site play area was also nearby. Here, the friends and families had already made themselves at home for the day when our camera crew arrived and the children were excitedly playing on their bikes – perfect for capturing on camera straightaway. 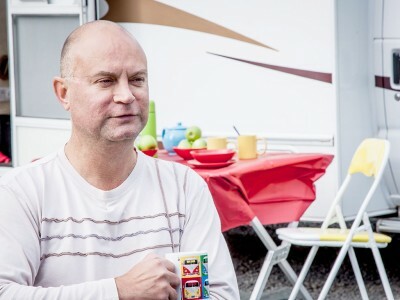 Once again props were set up outside the different caravans but this time we didn’t film in couples we grouped them into “dads” and “friends”, so they could talk about their love of caravanning as a group. After an afternoon of filming at this relaxed campsite, the sun going down over the hillside provided us with some amazing general views. 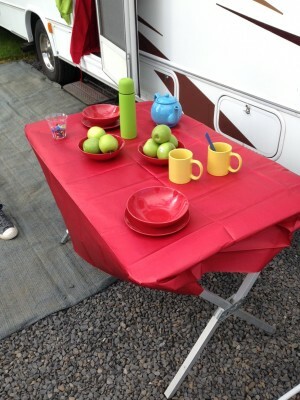 You might notice our videos feature a table of coloured cups, glasses and teapots. 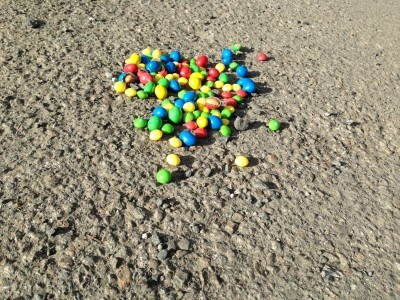 We picked these to match our corporate colours and add a bit of zing to the production! Together with a multitude of toys, sweets and accessories they also managed to keep the children entertained and well behaved! Leaves were falling all around us but evergreen trees at Knights Stainforth and good old Yorkshire grit and stone at Langcliffe Park could easily make viewers believe it was filmed at the height of summer! The beautiful limestone wall and village green at Langcliffe detracted from the falling leaves, as well as Yorkshire’s green and pleasant hillside at Knights Stainforth. The highlight of the day was the amount of excellent footage we captured. 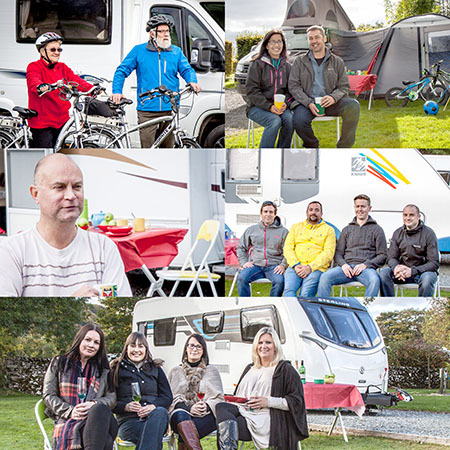 Customers couldn’t wait to tell us what they loved about touring in their motorhome or caravan and their experiences of insuring with Caravan Guard. Everyone had lots of fun, the children were exceptionally well behaved and excited to be filmed, many made more new friends and it was just great to hear from so many happy customers. This all meant lots of time spent in the editing room, with so many fabulous quotes and action shots to choose from. We hope you like what you see. Please let us have your feedback in the comments box below.